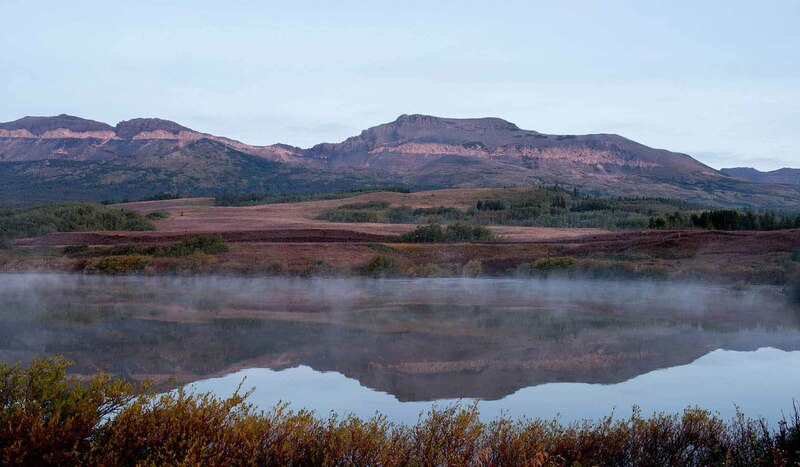 Blackfeet Territory: This inspiring land is home to Montana's largest Native American tribe; the Blackfeet Nation. The tribe's unique name is probably a result of their moccasins; a sacred ceremony uses black paint to distinguish between ceremonies. The present day Blackfeet are descended from tribes known as the Blackfeet (Siksika), Kainah or Bloods, and Piegans, all of Algonquin linguistic stock. These three tribes shared a common culture, spoke the same language and held a common territory. About 9,500 enrolled members live on the Reservation. 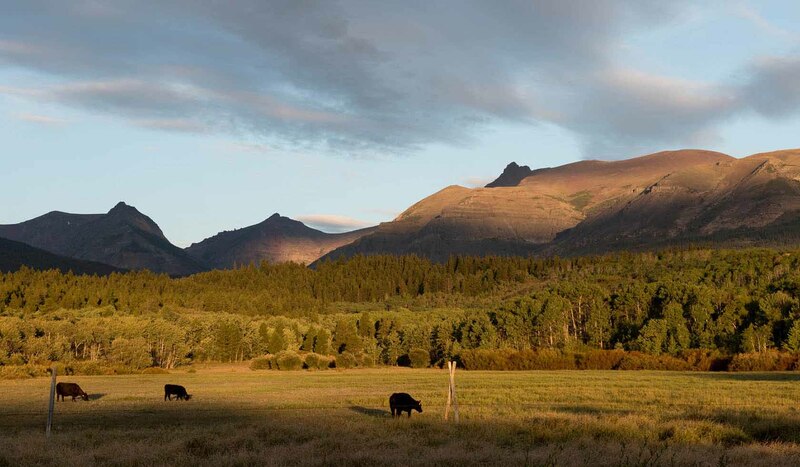 On these open plains just east of Glacier National Park, enjoy museums, galleries, historic sites, camping, and fishing. 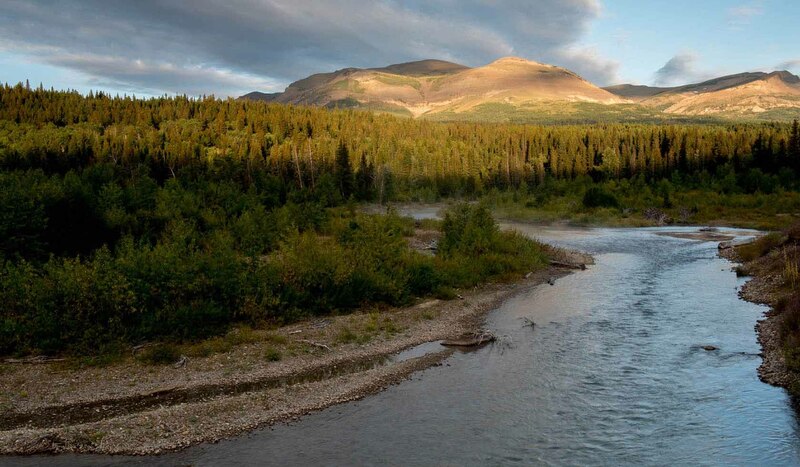 Also take a historic site tour, which is a 70-mile excursion by private auto, Blackfeet language sign tour or tour Highway 49, the most scenic bypass from East Glacier to St. Mary. Some claim it's a smaller version of the Going-to-the Sun highway. On Highway 89, the first stop on the Blackfeet Reservation is the town of Browning. Drop by the Museum of the Plains Indian, the Blackfeet Heritage Center to see the creative achievements of North American artists and crafts people. While you're here, be sure to fish one of the Reservation's many lakes - among the best in the world. Hook a 10 pound trout (tribal permit required) or maybe a 10 pound rainbow, as well as browns and brookies. After a few fish, catch Highway 2 and head toward Cut Bank. If you're a Lewis and Clark buff, you'll love this area. About 12 miles outside of Browning is Camp Disappointment, the northern most point of the Lewis and Clark expedition. From there visit the Two Medicine Fight Site, located on Highway 358 at the Two Medicine River, which is the site of the only Native American casualty on the journey. Blackfeet Scenic Drive features the northwestern area of Montana. Junction of US Highway 2 and Highway 89.